Mash Wren, originally uploaded by dmzajac2004-. 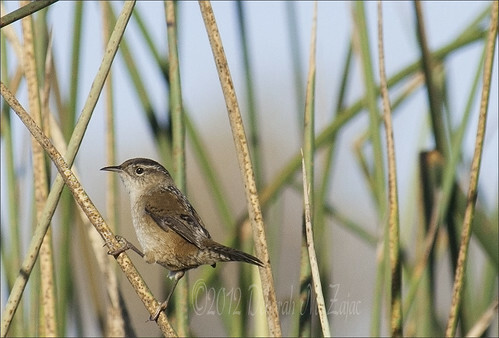 This is my first Marsh Wren capture on film. I tried to get one back in 2010 and have been trying since. My friend Alex told me what this bird was then and how hard they are to get on film. Boy, was he right! They’re flity little things. This one was busy hopping from reed to reed, but thankfully he wanted to be in the sun after days of rain, and didn’t retreat inside the reeds so I was able to capture him on film.